Has Uber led to a decrease in Seattle DUIs? What happens when the figures contradict your gut instinct? "Building a simple but powerful recommendation system is much easier than you think. 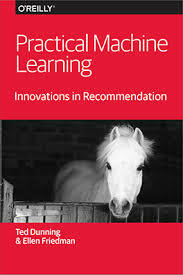 This report explains innovations that make machine learning practical for business production settings — and demonstrates how even a small-scale development team can design an effective large-scale recommender. The style of the report makes this subject approachable for all levels of expertise."